In 2017, Ukraine emerged as the offshoring destination of the year according to the Global Sourcing Association. Thirteen companies with development centers located in Ukraine made it into the 2017 Global Outsourcing 100 list by IAOP. Yet another ranking, the Global Innovation Index, included Ukraine in its top 50. The country is clearly on its way to establishing itself as a major tech powerhouse in the coming decades. There are a number of factors driving Ukraine’s emergence as one of the hottest destinations in the global tech industry that are all worthy of closer inspection. One thing all thriving tech scenes have in common is universities that turn out large numbers of capable tech talent. Ukraine’s educational system is nothing if not robust: the country’s 402 universities and colleges produce over 36,000 graduates with degrees in technical studies per year. There are also plenty of so-called “switchers”. This means people who switch from other industries to ICT attracted by its stability and high salaries. Some of them are self-taught while others get the necessary education at the many private tech schools and courses available across the country. This constant inflow of new tech professionals naturally has a profound effect on the country’s tech talent pool, which has grown by 27% in 2017 alone, according to Ukraine’s largest online development community DOU.UA. The total number of tech workers in the country is now close to reaching 130,000. It is safe to say that Ukraine’s impressive talent pool has become the number one reason for Western tech companies to set up shop here. “Even though more and more people choose IT-related education, there simply isn’t enough local tech talent coming from universities to meet companies’ needs,” says Jurgen Delfos, CTO at Carerix, a Dutch provider of recruitment software whose development team is based in Ukraine. Ten years ago, salaries were the number one factor attracting foreign tech businesses to Ukraine, but this is less so now as Ukrainian tech professionals are currently making about as much or just a little below what is offered in other Eastern and Central European countries. In today’s Ukraine, the average software engineer can expect to make anywhere between USD 20,400 and USD 39,600 per year (excluding taxes). Nevertheless, the costs of maintaining an office are still more attractive in Ukraine than in Western Europe and the US, with both rent and salaries of support staff being significantly lower. While the Samsungs, Microsofts, and IBMs of this world open their own R&D offices in Ukraine, many smaller companies set up their tech teams here with the help of local technical partners like Daxx. 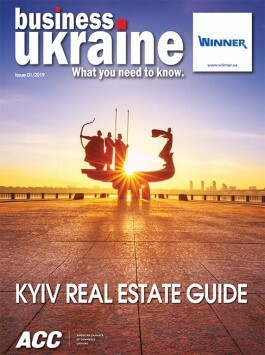 Ukraine’s simple taxation system is yet another positive aspect. If you register your local office as a business entity eligible for simplified taxation, you will pay a flat income tax of 15%. Corporate income is subject to an 18% tax. There is also a single social contribution of 22% deducted from each employee’s salary. In its early outsourcing days, Ukraine’s tech scene did not show much innovation. Since then, the situation has turned on its head: now there is Grammarly (which has raised USD 110 million), Readdle, Genesis, bpm online, and Jooble, all on their way to becoming the country’s first unicorns. There is also Looksery, Viewdle, and Maxymiser, acquired by Snapchat, Google, and Oracle respectively. A growing number of Ukrainian startups are competing on the global scale since their inception. These include Preply, Mobalytics, Petcube, Allset, and Sixa, to name a few. Such homegrown success stories cannot but inspire a strong sense of entrepreneurship in the local tech community, as well as lead to an increase in international investor interest in Ukraine. After all, the country has all the necessary components to create the tech giants of tomorrow, including solid technical education, a large pool of engineering talent, and a booming tech ecosystem. About the authors: Ihor Tkach is CTO at Daxx. He oversees software development activities for over 80 clients, optimizes client experience, manages technology strategy, and leads all innovation initiatives within the company. Alex Stoelwinder is Operations Director at Daxx. He streamlines company processes, improves internal and external operations, and ensures customer satisfaction.